Let me start by explaining where this piece comes from. I’m a New Zealander. I come from a small and fairly insignificant place whose nearest neighbour is much larger and much more self-assured. I’ve lived in, and become a citizen of, that neighbouring country. I really enjoy that neighbour and am about to move back there. But I get what it feels like to be constantly overlooked, disparaged, dismissed. I see the little country jumping up and down yelling “Look at me, look at me!” and being not just mocked but – much worse – ignored. To my dismay, large swathes of educated, liberal, allegedly-caring England are reacting to the prospect of a “Yes” vote in the Scottish independence referendum with spiteful incomprehension. It might be expected from some – by no means all – on the right of politics. However, Labour MPs, Guardian columnists, socially-conscious academics and others on the left are trotting out bitter (and wildly misleading) old lines about the West Lothian Question or complaining that Scots aren’t “understanding” the economic arguments, or are being lied to (because, what, they’re too thick and gullible? Unlike you? Piss off). Instead of taking the time to listen, these commentators are trying to tell Scots what to think and Scots are, unsurprisingly, reacting rather badly. Just as they have reacted rather badly to years of being told by the ignorant that Scottish money is no good south of the border; or that their values are outdated and need “modernising” ; that their long intellectual and cultural traditions are only worth trivialising, not worth mentioning; their values reduced to whisky and kilts and the odd comedian on a Fringe circuit. Dear English friends. Shut up and listen to the grassroots conversations. OK? Then tell your Scottish friends how much you respect them instead of how stupid they’re being. Get it? Tell them how much poorer England will be without them. Talk to them about how much you value the stuff they value. And then maybe, just maybe, they might start to listen to you. It’s not the Tory government in Westminster that’s killing the “better together” campaign. It’s the everyday sniping from everyday English voices. Shut up. Listen. Try again. 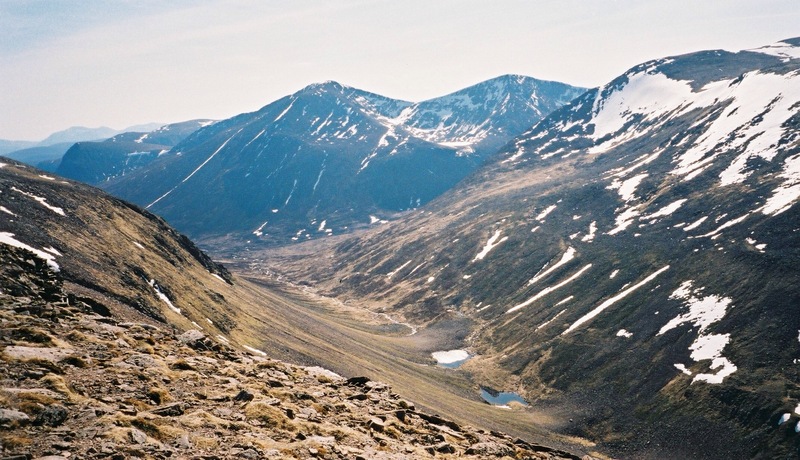 Photo by John Parkinson: the Lairig Ghru and Pools of Dee from the shoulders of Cairn Lochan. All rights reserved.